The growing government corruption scandal in Turkey has led to resignations of three key ministers and calls for the resignation of Prime Minister Erdogan, who on Wednesday replaced half his cabinet. The scandal partly involves suspects with close ties to Iran. An Iranian businessman living in Turkey, Reza Zarrab (aka Riza Sarraf) was arrested last week in Istanbul and charged with money laundering and bribing Turkish officials. Zarrab is believed to have facilitated the payments for oil and gas imports from Iran with gold bullions worth tens of billions of dollars sent via couriers to Tehran in a scheme to circumvent sanctions. In the process, Zarrab is believed to have bribed senior Turkish officials to enable his operations. The sums of “commission” bribes are said to be in tens of millions of dollars. The so-called “gas-for-gold” scheme was designed to circumvent the sanctions that were limiting financial transactions with Iran. This is how the scheme was designed: Iran exported oil and gas to Turkey. The Turkish government opened an account at Istanbul’s Halkbank to pay for Iranian imports. Zarrab forms Safir Gold Company in Turkey. The company opens a bank account at Halkbank. The Iran funds were then transferred through intra-bank transactions to Zarrab’s company account. Zarrab uses the funds to procure gold bullions globally and imports them through his Turkish-registered company to Turkey. He then sends the gold through couriers either directly or through Dubai to Tehran. 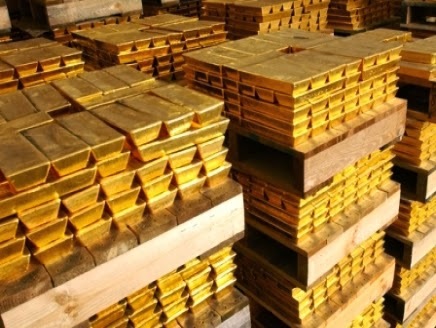 The Turkish media repots that some $13 billion worth of gold was sent to Iran through the “gas-for-gold” scheme. Zanjani became notoriously famous as the most successful “sanctions broker,” selling Iranian crude oil in the black market. He obtained the oil through an arrangement with Iran’s Ministry of Oil, which had allocated 20% of Iran’s oil exports to be handled by “private” firms. In Zanjani’s case, his private firm was reportedly a front company for IRGC’s Quds Force that had obtained a large allocation for private oil export from the oil ministry. In the process, Zanjani became a billionaire barely a year after the inception of oil sanctions in 2012, and was now identified by Zarrab as the boss in “gas-for-gold” scheme in Turkey. UPDATE: To read about President Rouhani's order for immediate investigations of "sanctions profiteers," please click here. UPDATE: To read a report by the Central Bank of Iran on Zanjani, please click here. This is not normal, it's criminal. The suspects have stollen from the countries' treasury in the name of "defying" sanctions. The sad thing is they had very powerful allies within both governments. Corruption has unfortunately become "normal," but should not be accepted as such. You are referring to brokers and their role. Nothing inherently bad to be a good broker! But when someone become multi-billionaire in matter of a year, you need to know where that money came from; certainly not from generally accepted norms on brokerage fees. but what we should do ? their Job is to bribe the turk Politiker. that is nothing unkonwn for you. the Lobbying and buying the Politiker is very usual in USA. Not when the broker acts as a front for powerful government entities/individuals who enrich themselves personally in the transaction; all in the name of "defying" the sanctions regime. No justification can wash out their criminal acts. These are the symptoms not the cause. The cause is the policy of this Government that is at odds with practically everyone bar few pariah states such as Syria, North Korea, Cuba and alike. The policy of these administration in has turned a country of 70 millions to a beggar nation that an ordinary man cannot send few dollars abroad because despite of literary hundreds of banks in Iran, none is able to do any transactions. The story is too familiar. They have created this crisis (well I guess that the correct word for it) and they are referring to it “unjust” now! Interesting that these hypocrites were shouting a year back that sanctions cannot do a thing! Now sanctions have created a class of opportunists. You can call them dalal. I call them day light robbers. As stated a 29 year old guy has become a US dollar billionaire in one year. I am sure this was achieved with the collaboration of many insiders in Iran. These are the ones that would lose if sanctions were lifted. They live off the misery of ordinary Iranians (who have to work in the office during the day and drive a taxi in the evening to make end meet.) and hope that the misery will last forever, so they can rob the nation of the wealth. These people have no scribbles They will trade their mother if they have to, like second hand car dealers (AKA shark and shits) in Europe. So we go around justifying their thievery as a form of salvation for Iranian people. They might as well cover every gold bullion with Margh bar Amrica! I for one wish for many more like it in the future. Blue-collar crime in Iran is rampant, and corruption levels have reached infamous heights since the past decade, such records have to come to an end. Nothing new under the sun...it's common knowledge that the thieving Akhoonds and their foul minions such as those wretched Hezbollahis have stolen and hoarded the national wealth of Iran. We can see you are using passion in your effort to show people how corruption has reached a runner way level in the country by giving THIS latest episode in Turkey as an example.WHY you Guys can not look at the big picture!, at least you have to be honest on the issue. The Nation is under sanctions, can't officially sell, can't buy - for an individual to engage in corruption dealings is no excuse to hang the establishment.-I NOTICE also that you seem to have issues to ZARRAB for being a "millionaire in a year"as if He committed a crime against humanity! Corruption becomes a very Good THING and a noble initiative if someone rallies the whole world unjustly to lay an economic siege on you ! !.The sanctions inflicted pains not only to Iranians but also to the western firms and individuals who pulled out ! . It is believed by many people that these same individuals are the ones who call the shorts!-seat in wait in Dubai ,using the Dalalis .Wont set foot in Iran or Turkey but call the shorts . [when something bursts, the DALALI takes the brunt]-IT is the same case with the multi billion gold , diamond and precious stone trade in the black market.IN this trade all people work as a family for everybody needs everybody !.The CIA ,the Mossad, the KGB ,or the Prince or son of a president- all these are involved in that web!-one is a DALAL the other is the agent, and the next is the boss or the facilitator. -WHEN then will you learn that this practice has had many benefits for the Nation and has played a key role in keeping things moving for the country?.. -DALALIS are the lube and bearings in international trade.NO Nation can have its trade go on smoothly in the international arena without these people.This sad episode is an isolated case ,and may be, it is given a lots of attention for political reasons,- BUT I can run deep TO show how sons of elites and political figures in ITALY and other countries in the WEST abused their positions to enrich themselves on LIBYAN oil under the full glare of their governments yet the media kept it easy!. We can GO further to show very sensationally how Princes in the Saudi Arabia and UAE are colluding with senior politicians in EUROPE and the US to engage in dark activities enriching themselves by cheating or using unfair trade practices .These Princes then keep their loot in the offshore accounts away from their central banks.AS evil as it may look ,the media will keep on taking it easy on this issue seeing that the web involves notable individuals in the WEST. and scream to the world that, that particular Government is dictatorial while it is not always the case!. SO Then the episode in TURKEY is only a storm in a tea cup in the international black market!-accusing or dragging the IRGC here is a feeble attempt to portray the respected organization in bad light WHILE everybody knows the organization has done much good to the Nation than the opposite!. Read today's post on President Rouhani's order to investigate "sanctions profiteers" in Iran; then dare repeat what you've said about us, this time on Rouhani: that the president of Islamic Republic is "using passion in his effort to show people how corruption has reached a runner way level in the country." The regime is the most corrupt and dishonest in Iran's history. What about the missing $18 Billion found in a truck across the Turkish border? And the missing $600 Billion during Antars time in office? Anonymous December 27, 2013 at 5:07 PM, an excellent point. Bribery and corruption are common even in the USA where it is known as "lobbying". It seems that Uskowi only has a concern about bribery and corruption when they involve Iran. The President of the Islamic Republic has today ordered immediate investigation of "sanctions profiteers." Please see our post today on Rouhani's order. If you are interested to read about the issue of corruption in other countries, there are so many good blogs available. Ours is a blog about Iran. what do you know about IRGC? When have you put your feet in Iranian soil in your life. You have no reason to be in this forum or comment about a country you know nothing about. As Nader has stated there are more suitable blogs that deal with issues more common to your background. Try them and gives up a break from your constant rant! You are an experienced commentator on this blog, and know that personal attacks on other commentators are not regarded as comments. Please take the personal attack parts out and resubmit your comments. Thanks. NO you are a slow learner and wont take advice!-I AM the one who have all along advised you to relocate to Feminine Blogs .Typical cowardice on your part hiding behind "as Nader has stated there are more...". @-Do you need advice?-make long comments especially when making a hit on Me! you know i have two wives and am used to silly jokes! hence i truly enjoy your 'roasting'. @ Do you need advice?- close you dirty mouth if you have nothing worthy to share.There are so many people who follow our discussions on this blog without commenting!. and all those who hold something opposite are either fools,liars,fan boys and terrorist sympathisers! -meanwhile i know where i am and why i should be here!- while time will teach you to package yourself!. It's alright, let people like "B.M.A" use personal attacks. Because it shows they have nothing to say against others that say the truth. They like the regime they support are a lost cause ! Think about general B.M. 's IQ. Judging by his comments It cannot be much can it! Somebody's IQ becomes BIGGER and BIGGER and BIGGER! only to someone who thinks,wishes,prays - for a sedition on his motherland on a DAILY basis like you !- seriously i envy yours!. take it easy maan! Take some ganja and relax man! B.M.A should have more concern for his country Nigeria. Islamic regime is spending $$$$$$$ converting Nigerians into Shia moslems. Is black man adam from Nigeria? The nation that has excelled in cedit card fraud. Marvelous. Rather than worrying about Iran, he should worry about that beggar nation that has the highest corruption in the World. The counyry ios synomous with fraud of any kind. It is probably ther worst in the dark continent. agreed. His brothers are waiting for him!